The ONLY Known Protocol To Permanently KILL And Flush Away Your Fat Cells — AND Guarantee Permanent & Irreversible Fat Loss. The Official Workout Companion to the Bestselling Book, Eat Stop Eat. Get the Same Results as the Pros (or Cheaters)! Did you know certain foods trigger the production of toxins right inside your digestive system? And that these toxins can actually cause weight gain, diabetes, heart disease and more? 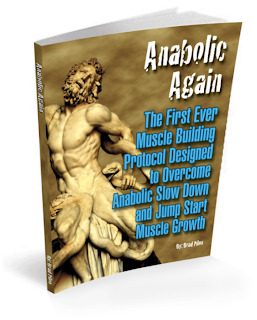 Brad Pilon and John Barban’s Muscle Building Course for Experienced Lifters. Blast Past Your Sticking Point and Gain Muscle Again!